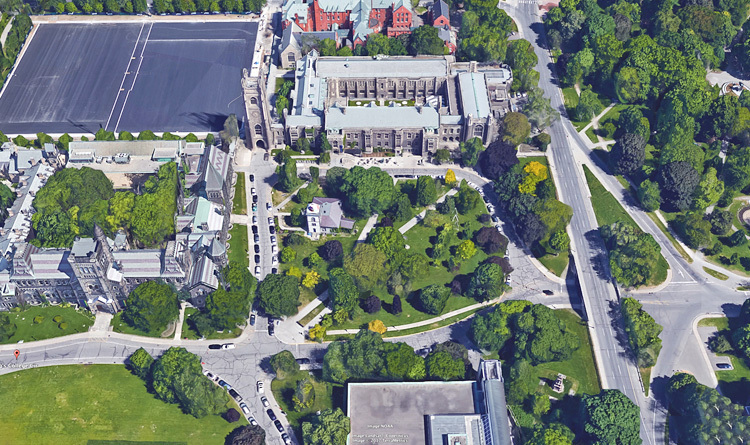 The historic heart of U of T’s St. George campus is an oasis of green enjoyed by thousands of students, faculty, staff, visitors and Toronto residents throughout the year. 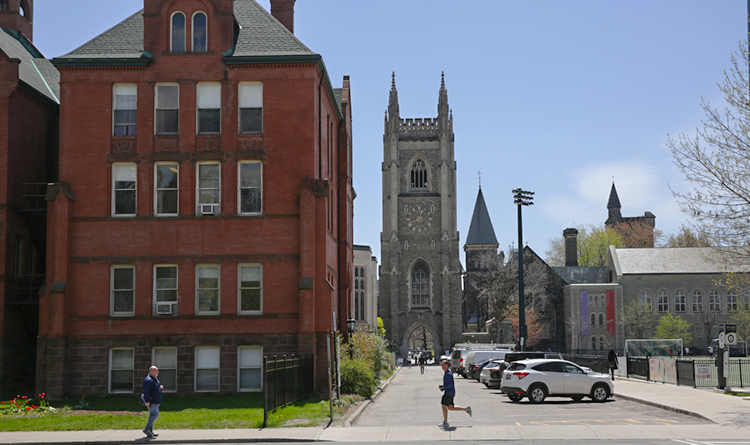 The majesty of the iconic buildings and cloistered courtyards surrounding King’s College Circle is enhanced by the picturesque landscape of paths, trees, lawns and gardens. 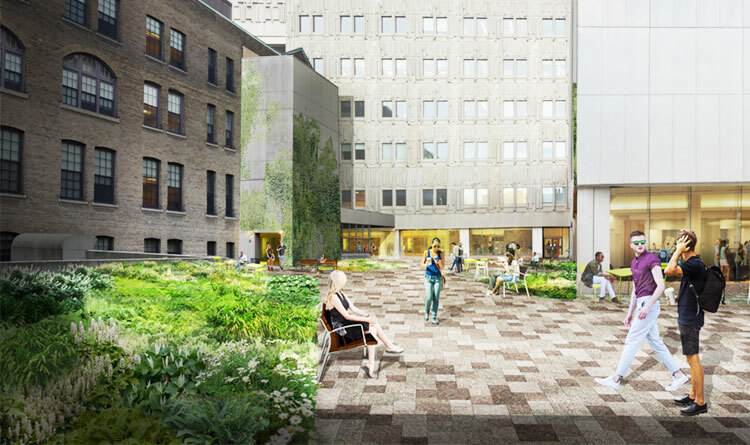 When you think of this space, you might recall your own Convocation or that of a loved one, fondly remember hurried debates with friends on the way to class, or harken back to that first sunny day of spring, when the campus comes to life. 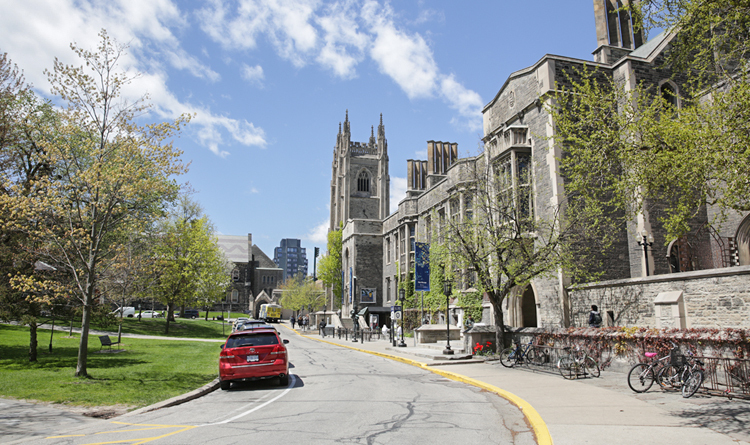 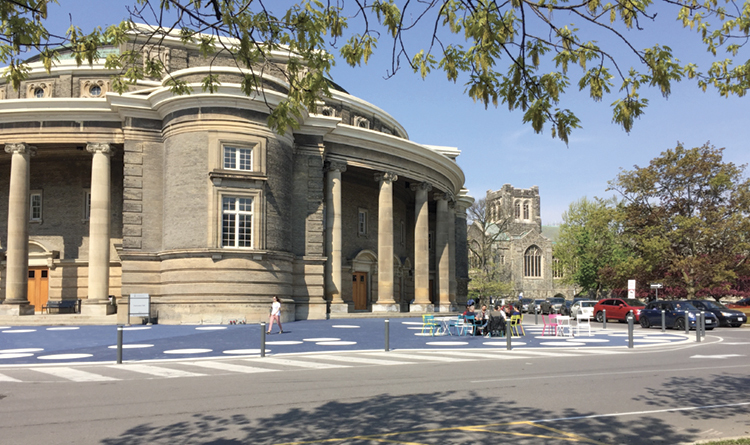 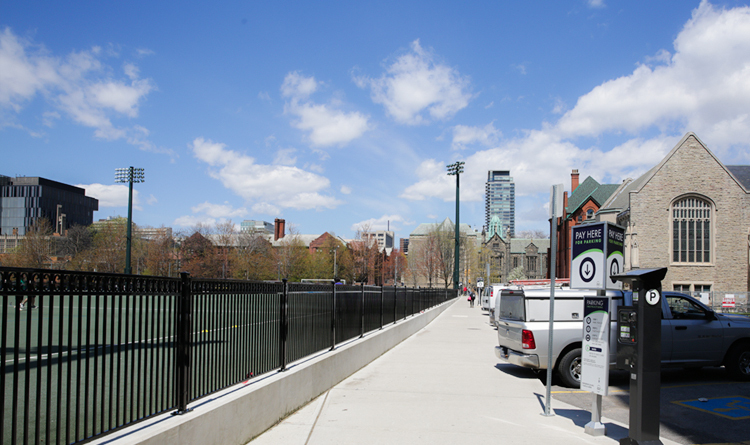 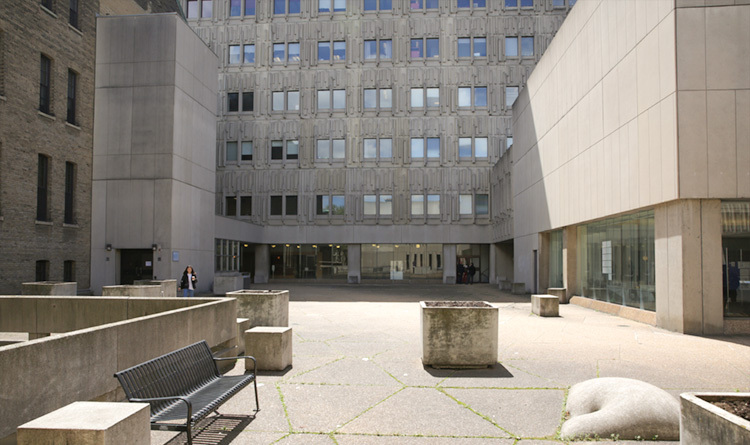 Through the Landmark Project, the University of Toronto is taking the bold step of reclaiming the St. George campus core for pedestrians by creating a cohesive, welcoming and beautiful network of people-centric spaces more befitting our status as one of the world’s great universities. 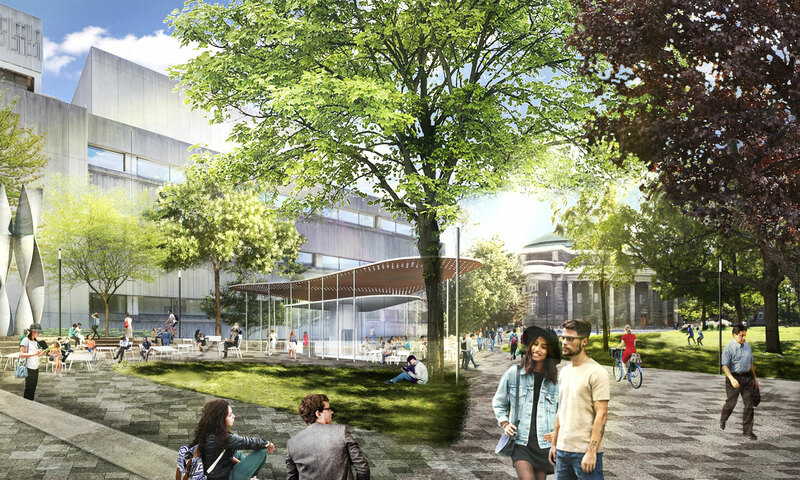 Spacious new plazas, meandering paths and gardens, striking vistas, the removal of surface parking and pavilions will transform our downtown campus into a much greener, more accessible and socially dynamic place, while at the same time respecting and preserving the intrinsic character, beauty and legacy of one of Canada’s most significant landscapes. 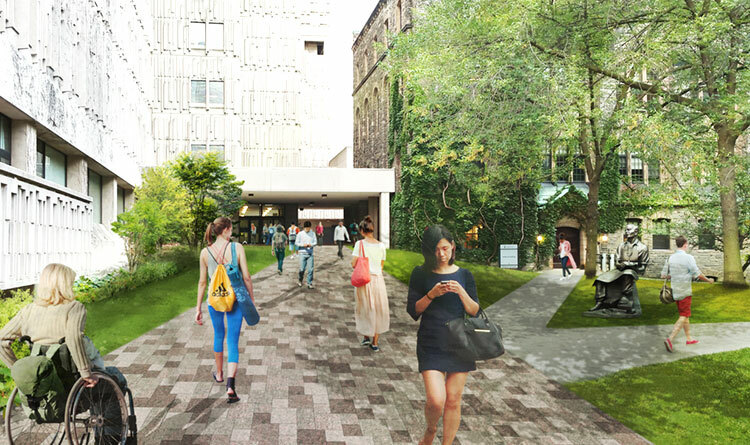 University campuses are, above all, places for people. 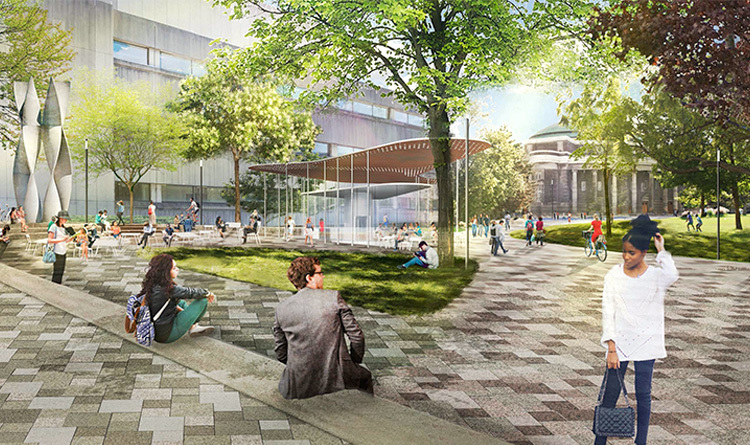 A well-designed campus, with lively and attractive open-air spaces, invariably creates a more inspiring, exciting and healthier place to learn, live and work. 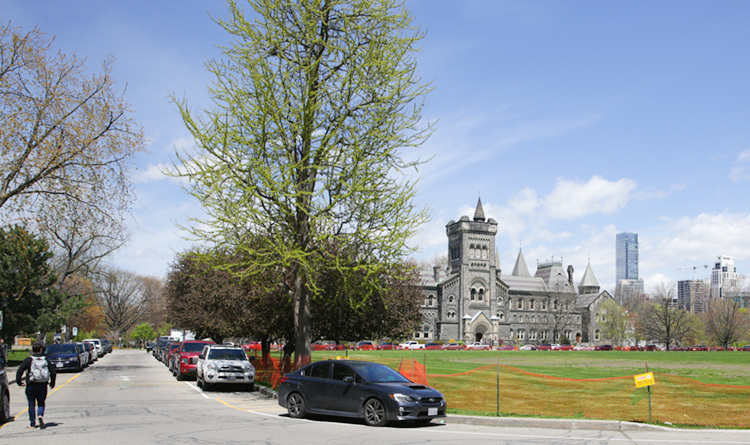 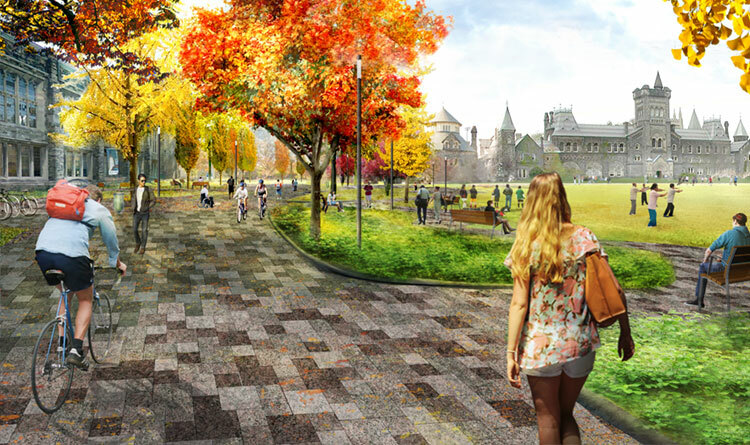 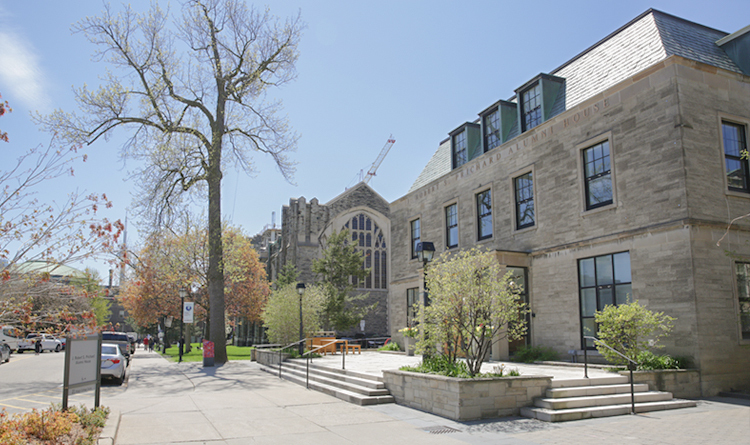 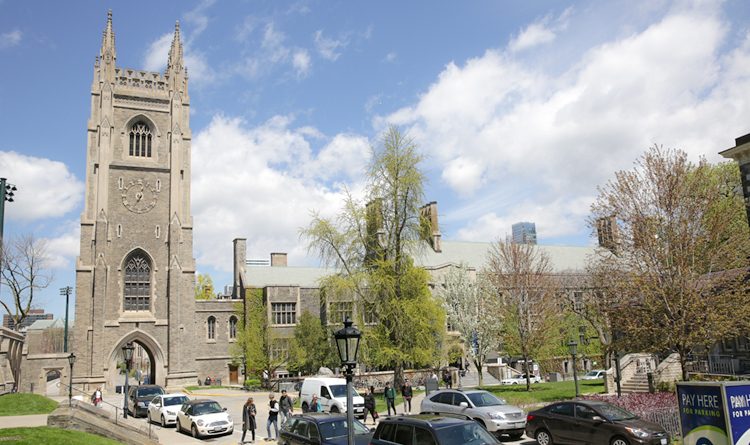 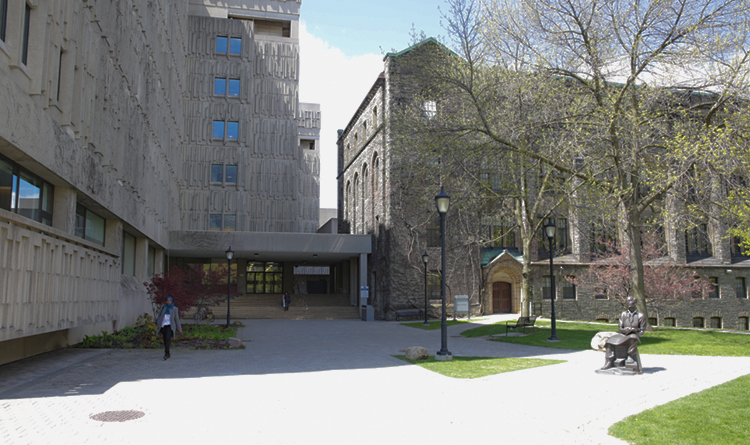 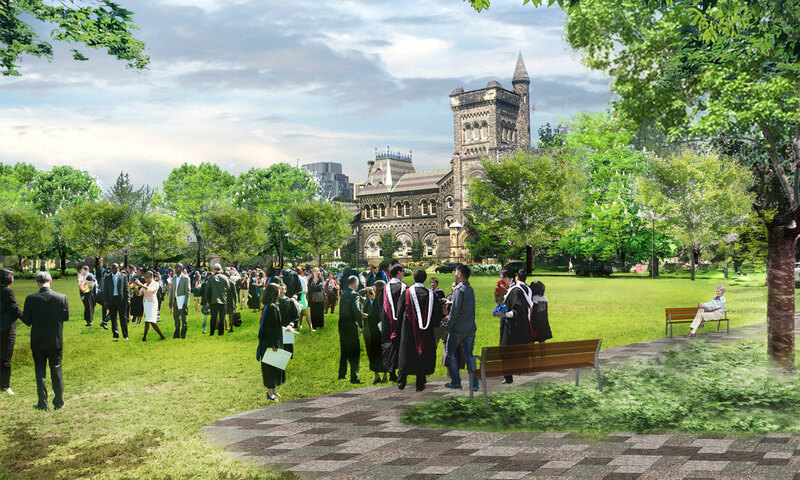 We invite you to help us revitalize and beautify the St. George campus by making a gift that may be recognized on an engraved granite paver, bench, tree or garden in the historic heart of the University of Toronto. 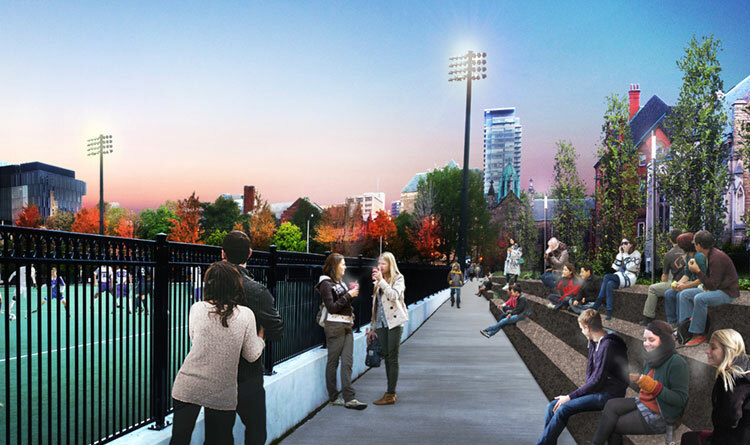 Recognition opportunities begin at $1,000 and are a wonderful way to honour a loved one, celebrate a milestone or mark a special occasion for you or someone important to you. 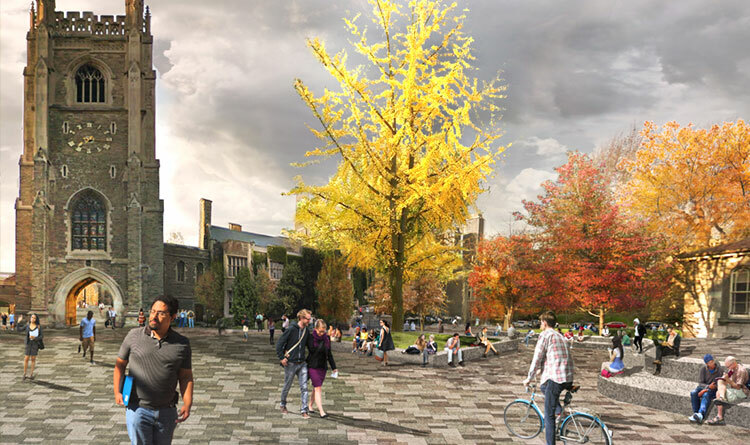 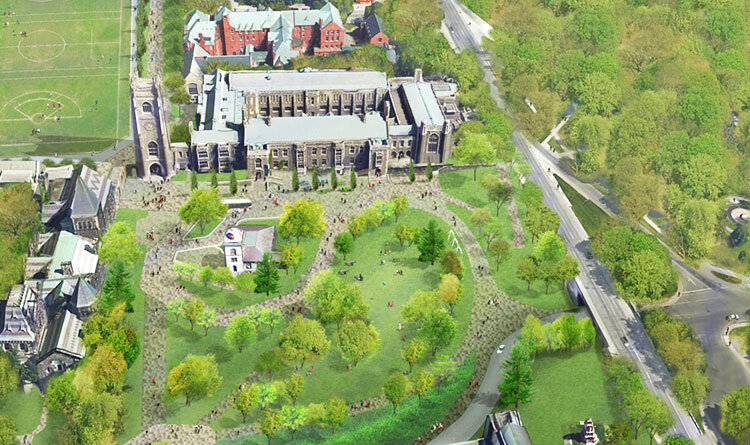 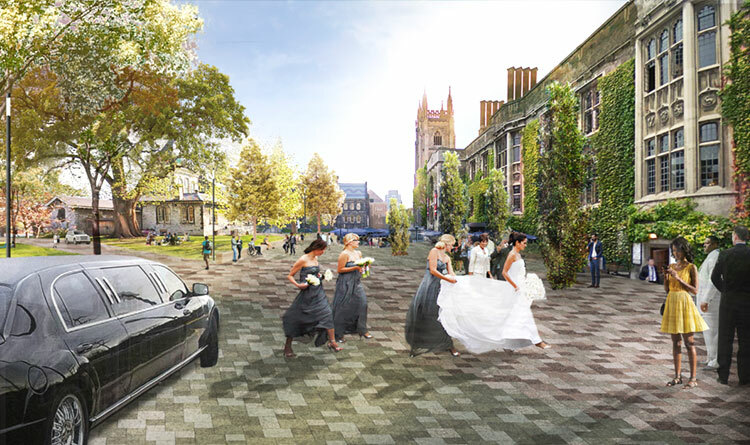 Granite pathways and the introduction of several new granite-paved plazas will make Front Campus and King’s College Circle more accessible and enjoyable for students, staff, faculty and the wider community. 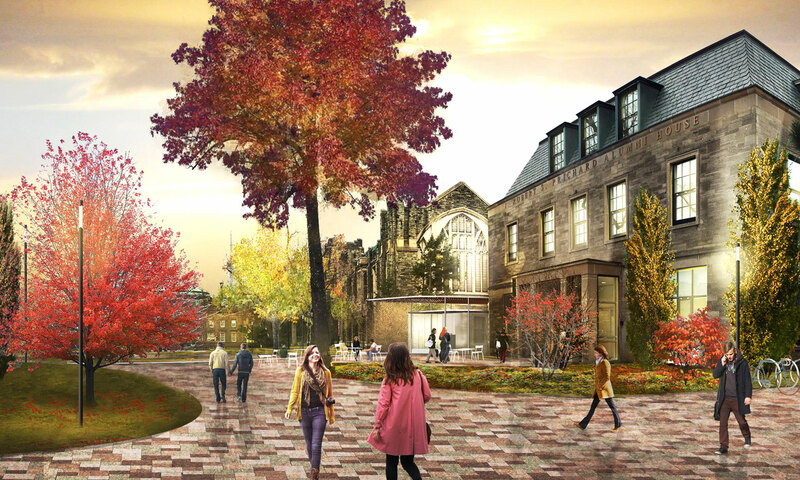 Take advantage of a once-in-a-lifetime opportunity to make your mark by purchasing an engraved granite paver on the plaza outside Convocation Hall. 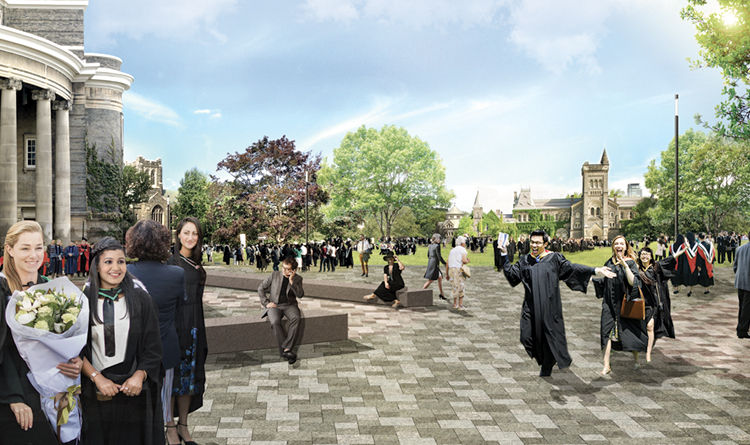 With only 3500 granite pavers available, this is a unique opportunity to mark your connection to the University. 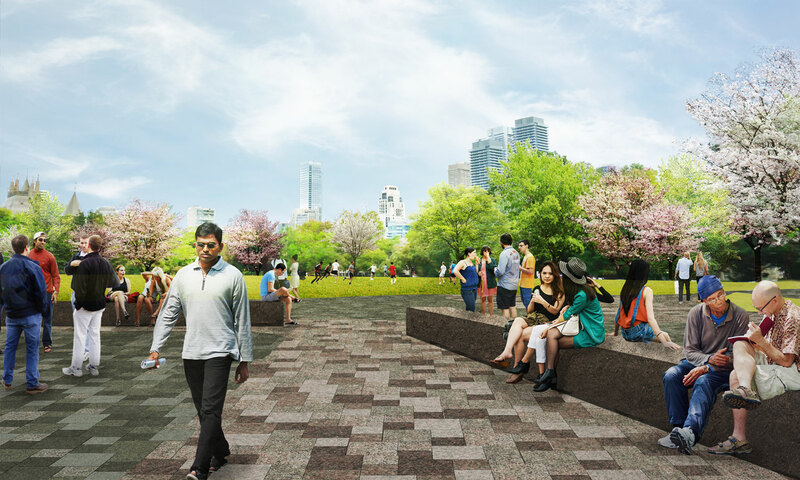 The addition of new seating areas will offer more opportunities for discussion, relaxation, quiet reflection or simply taking in the scenery. 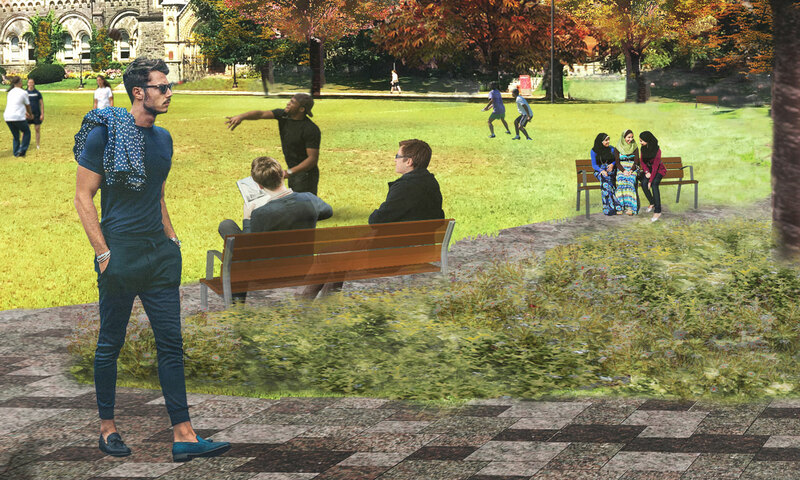 Join us in making the St. George campus a more welcoming and comfortable destination by making a gift that will be recognized on a bench in the University’s historic core. 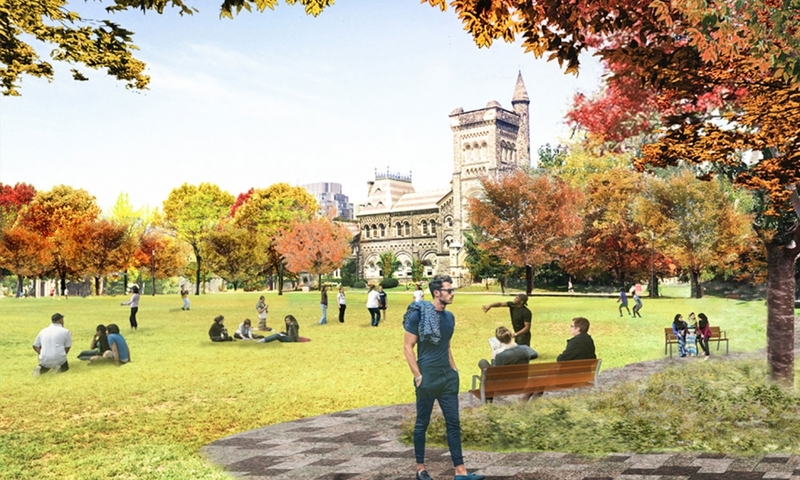 Stunning new gardens will ring King’s College Circle, creating abundant opportunities for students to study, relax and enjoy the outdoors. 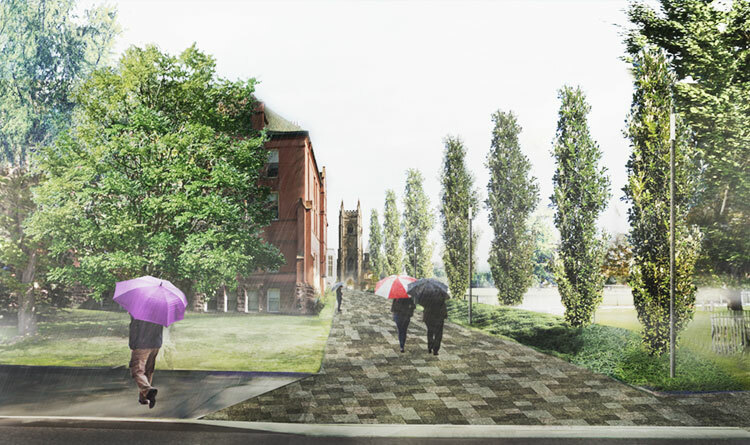 Help us beautify and revitalize our campus through a gift that will be recognized through naming one of the new gardens in the University’s historic core. 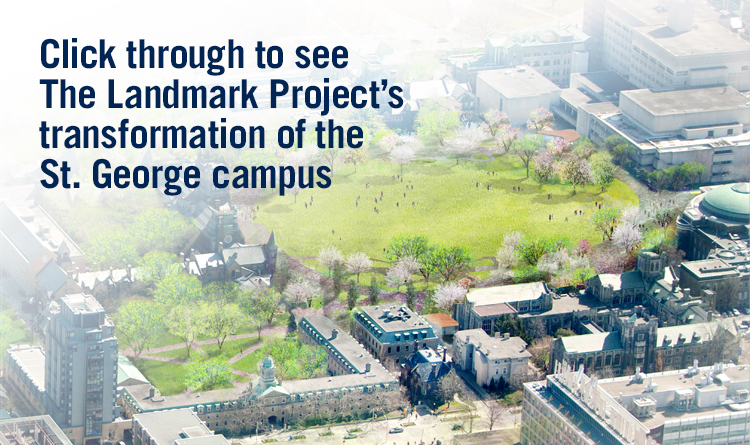 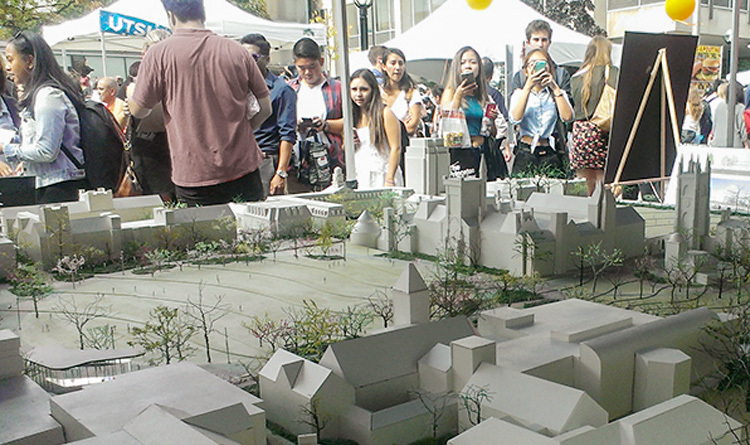 Read the latest news on The Landmark Project.